Servicing all of RI & Southern MA. They came out the same day we called to repair our refrigerator. 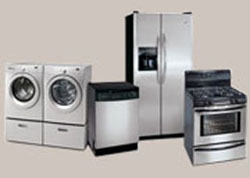 The technician was very courteous and helpful and we were very pleased with the price they charged. I would definitely recommend them to a friend. Their response was quick and courteous. The repair man, whom happened to be the company's owner, was very knowledgable and helped with his insight regarding my current appliances vs. the appliance currently being sold on the market. I am a psychotherapist by trade, "I read people well," it was clear to me that he was attempting to be helpful rather than attempting to use a sales pitch to benefit himself or his company. I will recommend him to others, and likely use him myself again in the future. Came by the estimated time he said he would and followed up promptly on additional repairs. 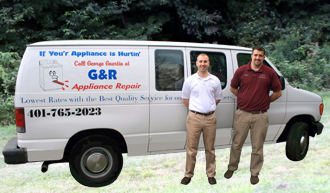 G & R Appliance came to repair our refrigerator almost immediately. The men were polite and professional and had my refrigerator up and running very quickly. The gentleman in the office was very polite. He called me back within a few hours to schedule an appointment. The technician's name that came to my house was George. He was able to fix my dryer very quickly. He told me that it was just a minor problem, something had come loose inside. He was very professional and his work was immaculate. The price was very reasonable. I am sure glad I didn't run out and buy a new one before I called them for help.